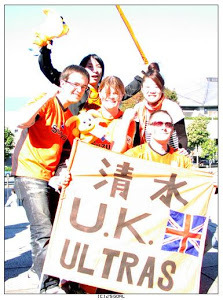 Revealed on Nikkan Sports today, S-Pulse are set for a European adventure next month to raise money for the earthquake. On April 13th S-Pulse will take on last year's Eredivisie runners up, the Netherland's most successful club, Ajax at their stunning Amsterdam Arena. It is the first case this year of a J. 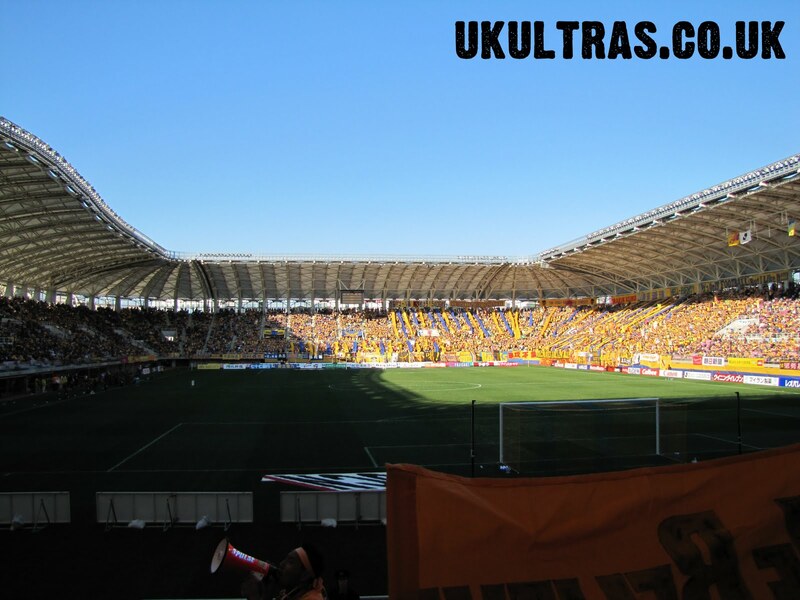 League team playing a charity game abroad. Ghotbi, who is said to have many friends in the country, readily accepted the invitation. Aside from the clear benefits of raising money for the disaster fund, Ghotbi also believes the trip will be an invaluable motivation for the team ahead of the league restart. Of course Shinji Ono also spent 4 years at Ajax's arch rivals Feyenoord between 2001 and 2005. He'll no doubt be relishing the chance to have another pop at the Amsterdam club. It should be a great occasion. Read the official press release (in Japanese) here. 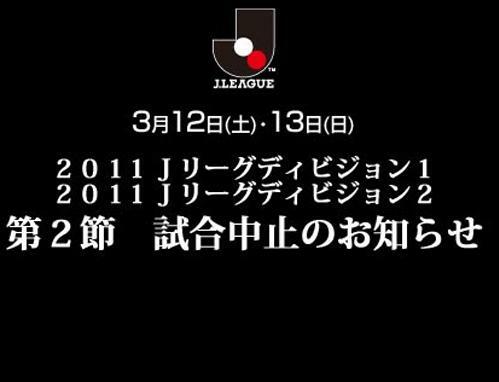 Also reported today was another charity game, this one is against J2 side Kyoto Sanga and will be on April 2nd (Sat), 3pm at Nihondaira. Entry is free. A fund raising match between S-Pulse and those pesky toe rags from across the prefecture (hey, I can't be too harsh - this is for charity!) was announced today. 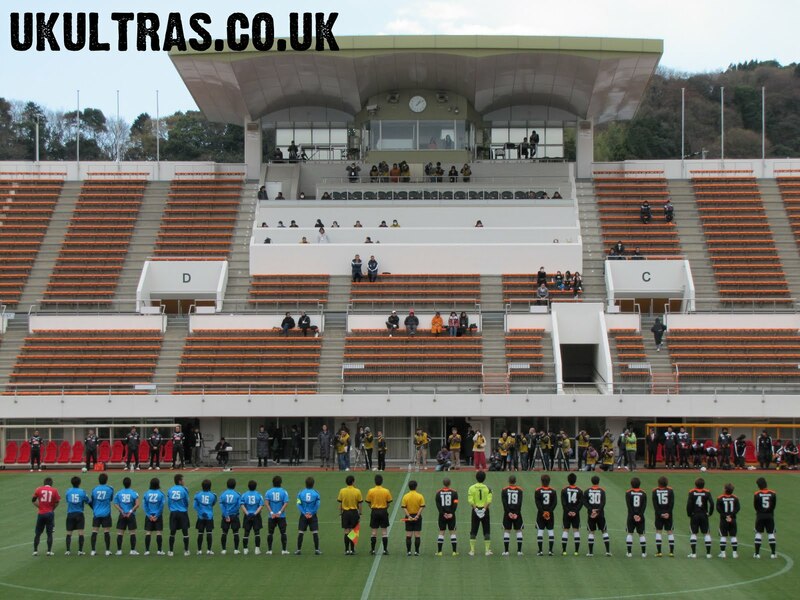 It will be at Nihondaira on April 9th, kick off 1pm. Tickets are 2000 yen for adults, 1000 for everyone else and are on sale in the usual way. Needless to say, all proceeds will be going to the earthquake funds. 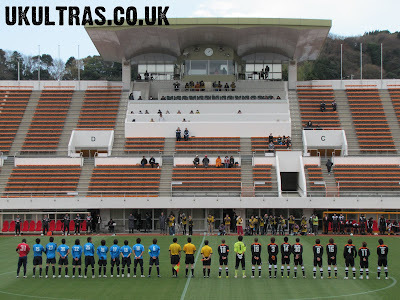 In a fund raising game for the earthquake relief efforts, thousands of fans descended upon Nihondaira, to see a keenly contested match. 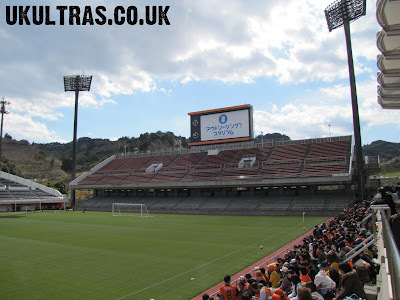 There were no shortage of supporters from Yokohama either, as the back stand (which holds 5700) was pretty much full. 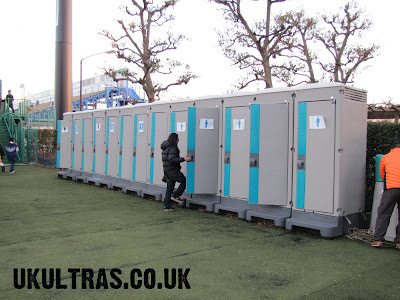 The donation boxes were well stuffed with notes and coins, with the day's total coming in at 1,978,293 yen (£15000 / $23000 US) - a simply brilliant effort from all concerned. The game provided some pretty decent entertainment, including thirty minutes from King Kazu. He got a huge reception when brought on, and helped the visitors draw level in the latter stages. 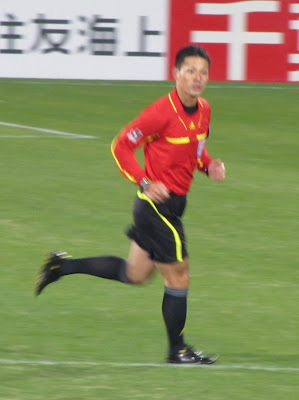 An on fire Omae, who had ran the Yokohama defence ragged over the ninety minutes, finally got his reward in stoppage time. He walloped in a shot on the half volley and it left the keeper unable to stop it sufficiently with Nagai on hand to tap it in. We'd got the lead through Edamura whose thunderous shot from the edge of the box after an uncleared corner gave the keeper no chance. 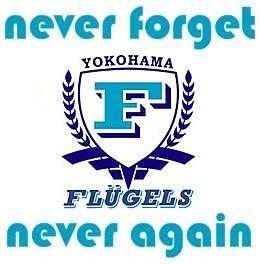 S-Pulse will play Yokohama FC at Nihondaira tomorrow (Sat 26th) kick off 1pm. The game will be free admission with collections made for the ongoing fund raising efforts for those effected by the earthquake. It will be a game of four halves, each 45 minutes. After a meeting today it was announced that the J. League will resume on the weekend of April 23rd / 24th. 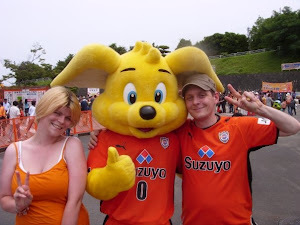 S-Pulse are at home to Avispa Fukuoka that day. In other news, Ono has been included in an all star team to play a charity match to raise money for the disaster fund. It'll be in Osaka on the 29th. Here's the man himself while collecting for the relief efforts yesterday. Today at three locations around town, several players and staff gave up the last day of the long weekend to help raise funds towards the ongoing relief effort in Tohoku. I popped down to Shizuoka station where I met Ono and Hiraoka. Across the three fund raising spots, S-Pulse managed to gather 1384868 yen, which is over £10500 or around $17000 US. 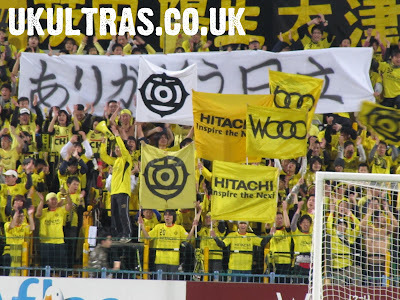 Simply amazing effort from the staff and players and of course the people of Shizuoka. Everyone should be proud. If you want to donate, you can do so via any of the links below. It's looking likely that the league's 4th game is also set to be postponed due to the ongoing disruption and difficulties of the earthquake. I read that Sendai's beautiful Yurtec is unusable following the devastating quake. This of course means nothing in relation to the suffering of thousands, but as a symbol of the city's life and energy, the sooner it is packed again and rocking to the spirit of Sendai the better. 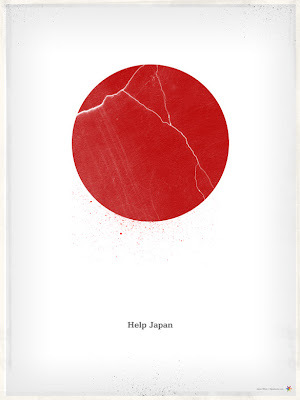 Further to our previous post, here are some additonal localised links from which you, our international readers, can help Japan recover from this unimaginable tragedy. If you support the J. League, please give what you can. Meanwhile, S-Pulse, along with many other J. League teams, are accepting donations towards this charity. Details (in Japanese) here. 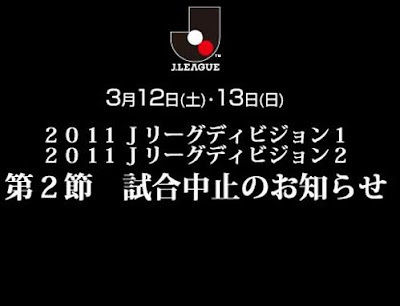 Announced today due to the ongoing disruption caused by the earthquake, Wednesday's league cup game at Urawa (16th), Sunday's league game at Kofu (20th), and next Saturday's league cup game home to Iwata (26th) are all off. All other league and cup games this month have been postponed also. 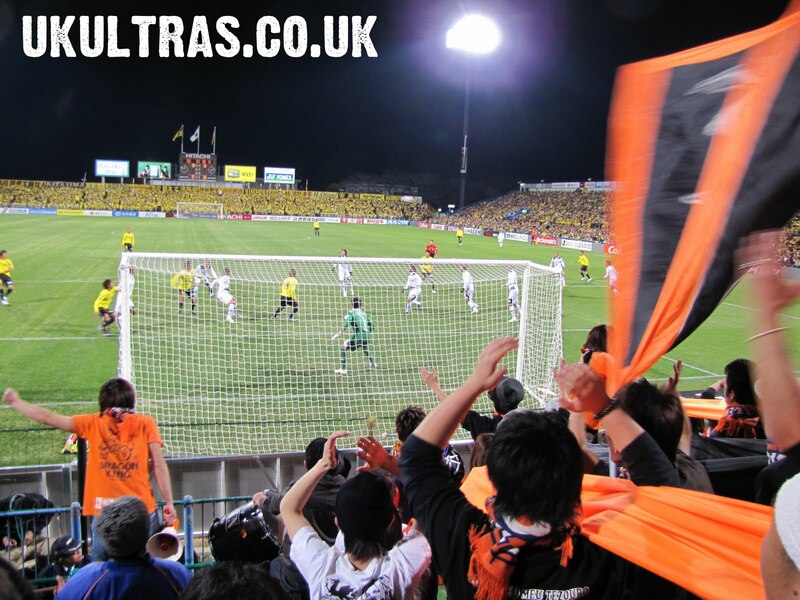 Pending further postponements, S-Pulse's first game once everything resumes is due to be away at Sendai on Sunday April 3rd. I can only imagine what kind of an emotional affair that would be with the game essentially meaningless. Not sure if anybody really cares at the moment, but the League Cup game with Urawa on Wednesday (16th) is still uncertain with an announcement due tomorrow. The game with Jubilo on the 26th is currently set to go ahead as planned. We get hundreds of visitors to this blog from all around the world, and I'm sure you've all been shocked and struck with grief at the devastating effects of yesterday's earthquake. The recovery and rescue operations are well underway and the International Red Cross is accepting donations towards the effort. If you can, I know your help will be massively appreciated. Donate via the American Red Cross here. Due to today's devastating earthquake all J. League games this weekend are off. Shizuoka got off very lightly, and our thoughts are with everyone in the north, in particular Iwate and Miyagi prefectures. The tsunami looked absolutely horrifying. A heady combination of a newly put together team, a referee making a couple of awful calls and a team new to J1 out to impress, and there you go. We looked disjointed and full of nerves and never really got it together. Miles mate, great to meet another S-Pulse supporting Brit! Sorry if I was a bit drunk - had to fill up the several hours before kick off somehow. I actually had my phone turned off, so you may have just got voicemail if you tried calling. Pretty sure that number was right, though. Check out our wonderful travelling support. You can also see the harsh freekick for their opener as the and a totally crazy call for the straight red. Poor Bosnar - you have to feel sorry for him when the referee's thinking pattern seems to go: huge white guy comes into contact with opponent = foul. He played the ball in what was to my mind a brilliant tackle. How the ref can blow the decision to such an extreme... God help tall foreign players when this guy is around, that's all I can say.